BCAAs are one of the best ways to maintain muscle mass while on a calorie-restricted diet. They can also help you build more muscle without having to consume more calories in the form of protein shakes. And as resistance training becomes more and more popular among females, amino supplements are gaining in popularity. But how do you select the best BCAA for women in what has traditionally been a male-dominated supplement category? In this article, we will discuss how BCAAs work, what benefits they provide, and review the 8 best options for women. 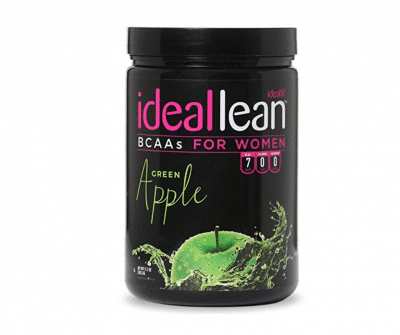 IdealLean BCAA For Women ‐ Amino Acids for Women | Maximize Fat Burn & Lean Muscle Growth | Aids Weight Loss | Post Workout Recovery Drink | 0 Calories, 0 Sugars, 0 Carbs | Green Apple | 12 oz. Why Should Women Take BCAAs? BCAAs are Branch Chain Amino Acids, which in short, are part of what makes up protein. We all know that protein is critical to building and maintaining muscle – everyone knows that guy with a six-pack who walks around slurping on protein shakes. BCAAs are made up of three essential amino acids, leucine, iso-leucine and valine, three of the 20 amino acids that make up protein and incidentally, the most important amino acids for muscle growth. They help your performance while working out, as well as helping you recover when you’re not. They are critical for your body to perform while working out and provide many key benefits. Enhance Muscle Protein Synthesis: BCAAs are known to trigger muscle protein synthesis and can increase levels by up to 145%. Muscle Protein Synthesis is the rebuilding of muscle tissue caused by stress on the body, such as a muscle tear or excessive training. BCAAs combined with resistance training offer the maximum results in muscle protein synthesis by triggering mTORC1 signal pathway that is essential for muscle building. Maintain Lean Muscle Mass: Even in times where we have to take a break from exercise due to injury or time constraints, BCAAs will minimize your muscle loss. The preservation of lean muscle mass will also keep your metabolism up to speed, preventing weight gain during time off from exercise. Maintain Muscle Mass on Calorie-Deficit Diet: Calorie-deficit or restrictive diets can lead to muscle breakdown as your body tries to hold onto its fat stores. BCAAs have been commonly used by bodybuilders to gain and maintain muscle mass while maintaining a lean physique through calorie deficit diets. Supports Muscle Building For Older Women: As we age, it gets harder to build muscle. After age 35, protein synthesis is impaired. However, an increase in BCAAs has been shown to elevate and prolong protein synthesis and muscle building, even in older women. Increase Fat Burning: Studies show that women with a high intake of BCAAs in their diets have less body fat and more muscle, for an overall better body composition. BCAAs increase energy expenditure, speed up metabolism and decrease food intake and body weight. Enhanced Endurance: BCAAs both maintain energy levels and reduce fatigue, providing those who take BCAA supplements with a noticeable improvement in endurance over those who don’t. Decrease Muscle Soreness: BCAAs have been shown to reduce muscle soreness, even in untrained women. They preserve the integrity of the muscle fibers and allow you to train more frequently and more intensely by reducing muscle soreness after workouts. Reduce Risk of Diabetes: BCAAs may decrease the risk of diabetes because they improve glucose tolerance, support insulin sensitivity and improve your metabolic rate for better body composition. Anti-Aging: BCAAs have an anti-aging effect, as they increase the formulation of new mitochondria. Increased Longevity: BCAAs can even increase your lifespan. They’ve been used to treat liver disease, reduce mortality risk with cancer, prevent muscle loss in aging and are therapeutic. Stay Lean: Unlike many protein supplements, which contain testosterone, BCAAs will not lead to a bulky or overly muscular look, a common fear for women when it comes to gaining muscle. If your supplements don’t seem to be working the way you want, it may be because they weren’t designed for you. Using supplements designed specifically for women is a great way to maximize performance since men and women have different needs while training. One of those supplements designed specifically for you is Her Aminos by NLA For Her. What gives this powder all its powder is the comprehensive blend of amino acids, including BCAAs. The comprehensive blend includes Taurine, Beta Alanine, Glutamine, Citrulline, Leucine, Isoleucine, and Valine, all of which help give you energy and build muscle. Shortens Recovery Time: Every time you work out and push your muscles, they’re damaged a little bit, and then when they recover is when you see gains. In addition to building muscle, this mix can speed up the muscle recovery process. This means you can work your muscles more without such a high risk of injury and also means you’re likely to see results faster. Easy to Absorb: With 100% pure amino acids as the first ingredient, Her Aminos is easy for your body to absorb and can start going to work almost as soon as you take it. This makes it a great pre-workout since it can be readily absorbed, giving you fast acting results. Since it can absorbed quickly, it can also kick start ketosis, stopping muscle breakdown and boosting muscle growth and metabolism. This is easily one of the best options on the market when comes to female-focused amino blends. It contains fewer BCAAs than some other options, but it also provides arguably the biggest energy boost, making it a great options for pre-workout and especially for those on keto or a low carb diet. We found the Pink Lemonade flavor to be tasty, although this is subjective. Some may find it too sweet, and it does contain artificial flavors and sweeteners. 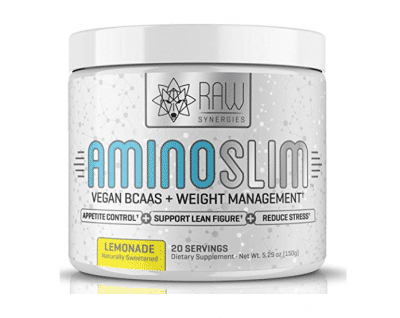 If you haven’t heard of Amino Slim already, you must be living under a rock. This very popular BCAA mix goes above and beyond to be a well-rounded supplement that you can use as a tool to meet your own personal goals. Keep reading to learn about what all Amino Slim has to offer. This powder mix fills you up, but not with any junk. It gives your body 5 grams of BCAAs, which help control appetite alone, and 88.25 mg of SatieReal, which is made from saffron extract and is designed to keep you feeling full and satiated between meals. This can help cut down on snacking and also help you be more in tune with your body, know when it is full, and know when to stop eating, thus aiding in weight loss. Relieves Stress: What makes Amino Slim unique is the fact that it doesn’t just give you energy and help build muscle, it goes a step further and can help relieve stress, too. Each serving contains 300 mg of organic ashwagandha. The ashwagandha can help relieve stress and promote an overall feeling of relaxation and wellness. This is extremely helpful because getting in shape and training can be very stressful and most dietary supplements ignore this fact, but Amino Slim tackles it head on. Promotes Lean Muscle Growth: Amino Slim is packed with BCAAs that boost lean muscle growth and metabolism. Lean muscle growth doesn’t necessarily make you look ripped, but it makes you look toned and replaces flab. This powder makes it easier to lose weight and tone your body, getting that slim, toned figure you’ve always dreamed of. Whether you’re male or female, Amino Slim can be helpful in getting fit and toned. With Leucine, Isoleucine, Valine, and Glutamine, your body is getting a full range of BCAAs meant to limit muscle breakdown, improve recovery, and reduce muscle fatigue. Amino Slim makes the perfect pre-workout, but can be taken at any time of day. Many people have found BCAAS powder is exactly what they need to power through workouts and get in shape. BCAA, or branched-chain amino acid, supplements are especially good for building muscle and have become a favorite among athletes. 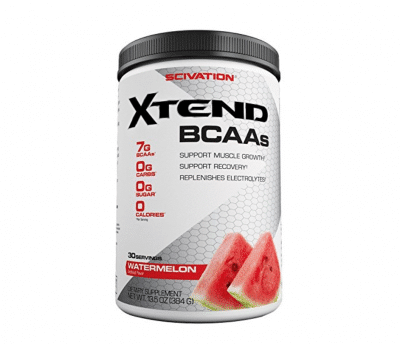 Below is everything you need to know about the popular Scivation Xtend BCAA Powder. Every serving of this protein powder contains 7 grams of BCAAs, which have shown to support muscle growth and speed up recovery time. Scivation Xtend provides your body with 3.5 grams of leucine for protein synthesis, which is what helps you see those big muscle gains, and 2.5g of L-Glutamine and 1g of Citrulline Malate to improve performance. Replenishes Electrolytes: Keeping your body hydrated and making sure you have enough electrolytes is always extremely important, but especially when you’re training. It can be easy to forget about electrolytes of you’re just drinking water and protein shakes all day, which is what makes the electrolytes in this powder so great. Every serving of Scivation Xtend contains 1170 mg of an electrolyte blend designed to keep your body running at optimal levels. Keto Friendly: With absolutely no carbs or sugars, this BCAA powder is perfect for anyone on the keto diet. There’s no point in wasting the very few carbs you can have on a powder. BCAAs can actually boost ketosis, so this powder can basically kick your efforts into overdrive. This is an excellent option for the money and comes in so many flavors you could try a different one every month for a year and a half. Not all the flavors are good, and some can be a little overpowering. Given the price point, this is a good option for those on keto or a low carb diet since it can be taken every day without breaking the bank. Built For Women: Again, the hot pink writing is a tell-tale sign that this supplement is targeted at women. It is specially designed to aid with fat loss and build lean muscle with its ideal amino acid ratio and zero calories or sugar. Raspberry Lemonade Flavor: The sweet raspberry lemonade flavor is ideal for those with a sweet tooth or who want to harken back to their childhood days of selling lemonade from a street stand. The delicious taste makes drinking this supplement a refreshing treat. 2:1:1 Ratio: IdealLean’s BCAA supplement has the ideal BCAA ratio of 2:1:1 (2 parts leucine to every 1 part iso-leucine and valine), which provides the maximum effect on muscle protein synthesis. Powder: The useful powder formula makes it very easy to take this supplement all throughout the day, before, during or after a workout. IdealLean’s formula contains no sugar, no carbs and no calories. So while you may get a sweet taste off the raspberry lemonade flavor, you know that it is completely sugar-free. IdealLean’s fat loss blend is specifically designed to help women lose weight, reduce fat and gain lean muscle mass by curbing appetite, speeding up metabolism and speeding up recovery after workouts so that you can exercise more frequently. This supplement comes enhanced with a number of useful ingredients such as green tea extract, Tonalin CLA, coconut powder, glutamine and citrulline, all designed to maximize workout recovery, build lean muscles, improve hydration and increase endurance. This BCAA supplement contains 30 servings of powder per container, which makes it one of the most expensive on the list at $1.20 per serving. However, each serving contains 11.36g of ingredients per scoop made up of BCAAs, a fat loss blend, L-Citruline, L-Glutamine, and more, so you’re getting more than just BCAAs. It also uses artifical sweeteners and may be too sweet for some. Good For Everyone: BPI Sports BCAA supplement is not actually targeted at women but is for both sexes. This means that it isn’t specifically formulated to target women-specific concerns but is designed for general muscle building, increased strength and endurance, reduced fat loss and muscle recovery. Fruit Punch Flavor: The fruit punch flavor tastes nice, without being too sweet. As this product is aimed at men and women, the taste is sweet yet not overpowering, suitable for all taste buds. 2:1:1 Ratio: BPI Sports BCAA Powder features the ideal BCAA 2:1:1 ratio (2 parts leucine, 1 part valine, 1 part isoleucine), to provide the greatest effect on muscle protein synthesis, increase endurance and aid muscle recovery. Powder: The useful powder formula is very convenient to be taken throughout the day. You can adjust the powder to water ratio to suit your taste buds and can enjoy the great effects of BCAA supplementation while sipping on a delicious drink. While working out and dieting can help you lose fat, muscles can also be lost if you’re not careful. This BCAA supplement is intended to both promote muscle growth and preserve lean muscles you already have, while also aiding in muscle recovery so you can workout more often. Along with the usual fat loss benefits of BCAA supplements, BPI Sports BCAA Powder also contains a mix of fatty acids and conjugated linoleic acid (CLA) to help aid fat loss and the muscle growth for a better body composition. That CLA Matrix Blend contains Safflower Oil, Avocado Oil, Coconut Oil and CLA to support lean muscle building, preserve lean muscle mass and reduce body fat. As BPI Sports BCAA Powder is not specifically targeted to women, it doesn’t contain any common women-specific enhancers. While this is not a drawback, per se, some women looking for BCAAs specifically targeted to them may not find this the ideal option. That said, this is a fantastic supplement at a great price point and does offer many benefits such as increased muscle building, faster muscle recovery, and increased endurance. It should also be noted that it contains artificial flavors and sweeteners and is VERY sweet (some flavors anyway). Those on keto or a low carb diet may want to use caution with this one. Targeted For Both Genders: Like BPI Sports BCAA Powder, Optimum Nutrition BCAA Capsules are not actually targeted specifically for women. That doesn’t mean they’re not a good option, however. They’re still designed to promote lean muscle mass, reduce body fat, increase your metabolism, improve endurance, speed up muscle recovery and improve insulin sensitivity, all things equally beneficial for both men and women. Unflavored: Unlike the other options on this list, this BCAA supplement is unflavored. This is because it is in a capsule form and you only need to quickly swallow it with a glass of water and not worry about taste. This does make it healthier, however, as there are no added sweeteners, artificial or natural and no added sugar. 2:1:1 Ratio: Optimum Nutrition BCAA Capsules contain the preferred 2:1:1 BCAA ratio (2 parts leucine for every 1 part valine and 1 part isoleucine), which is proven to be the most effective way to maximize the effects of protein muscle synthesis to promote muscle growth and aid muscle recovery. Capsule: Optimum Nutrition’s BCAA supplement comes in a capsule form, in contrast to the other powder options on our list. Though possibly less convenient than powder form, the capsule is easily swallowed and contains no artificial flavors or sweeteners to give a nice taste. Because this BCAA supplement comes in capsule, not powder form, it does not need a flavor to give an appealing taste. Therefore, this supplement contains no sugar and no artificial sweeteners or flavors. This makes it a healthy choice for people who want the advantages of BCAA supplementation, without the potential harmful effects of artificial ingredients. Optimum Nutrition BCAA Capsules come in a 7oz container, containing 200 capsules or 100 servings. This makes it an excellent option for those unwilling to spend the same amount for only 30 servings. 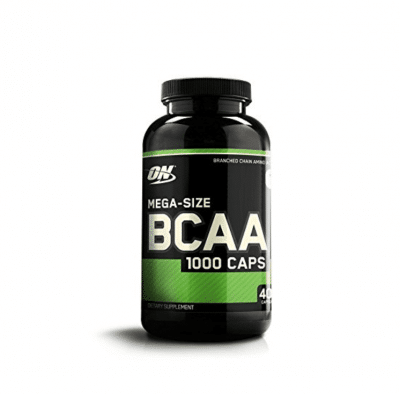 Optimum Nutrition BCAA Capsules are equally beneficial both before and after your workout. Taken before endurance training, this supplement can help endurance, strength and avoid sore muscles. Taken after strength training, they help kick-start protein synthesis, to promote muscle growth and improve muscle recovery. Although the capsule form can offer a lot of benefits, it can also be less convenient than powder form. Taking two capsules at specific intervals between meals can be more work than drinking a powder drink. However, it’s easy to fall into the swing of things after you’ve been taking the supplement regularly and as they contain no flavors, they are a healthier option than flavored powders. Also less convenient is the number of times you must take the capsules during the day for intended effect. Because one serving only contains 1g of BCAAs and 5g is the minimum that should be taken daily for best results, then you must take this supplement at regular intervals between meals to get the intended results. However, because there’s a very specific time they must be taken (between meals, 30-45 minutes before workouts, or after workouts), it is easy to fall into a pattern of taking them at specific times. Also, once you fall into this pattern, it will encourage you not to pass on a workout as you’ll have already taken your supplement beforehand. Flavor: The strawberry margarita flavor is a surprisingly pleasant taste, not too sweet or sugary. The delicious taste will encourage you not to skip your daily servings, and you’ll think of it as a treat instead. 3:1:2 Ratio: Fit Miss uses their own personal ratio of 3:1:2, 3 parts leucine, 1 part iso-leucine and 2 parts valine. This is formulated for maximum muscle protein synthesis, muscle repair and increased metabolism. Powder: This BCAA supplement is in a handy powder form that makes it very convenient to take by simply mixing it with water for a tasty drink before, during or after workouts. The ratio of amino acids is designed to increase protein muscle synthesis, which will increase your muscle mass, repair muscle tissue and contribute to a leaner body mass. This supplement is also designed to aid with fat loss by curbing your appetite, increasing your metabolism, speeding up post-workout recovery and building muscles. And as you gain more muscles, your metabolism will speed up, aiding in fat loss. Taken as a pre or post workout drink, this supplement will aid in muscle repair and decrease pain from injury or strenuous exercise. 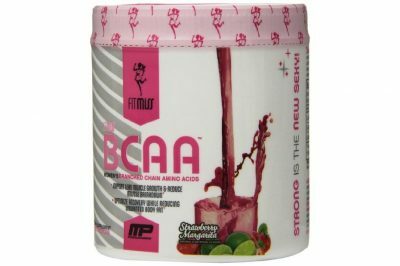 Fit Miss BCAA supplement is flavored, so it is not as healthy as unflavored supplements. However, it does make use of natural, as well as artificial sweeteners and the flavor is quite tasty, which can encourage you to take it regularly versus the unpleasant taste of unflavoured supplements. The container contains 30 servings of Fit Miss powder supplement. This may seem like a small amount to receive, especially when taken several times a day, but it is actually perfect for those new to BCAA supplements who want to try them out without committing to a large container they may not use. Targeted For Women: 1 Up Nutrition Her BCAAs are targeted specifically for women, so they are formulated for better muscle repair after workouts, fat loss and muscle growth. They are also enhanced with collagen to aid with muscle repair and help with hair, skin and nail development. 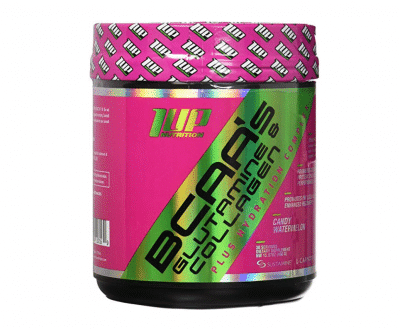 Watermelon Flavored: This BCAA supplement contains a unique watermelon flavor, which is deliciously sweet and great for those wanting a fresh, summery taste. Collagen: Unlike the male counterpart of this supplement, this female BCAA supplement comes enhanced with collagen, which is known to help muscle repair, speed up metabolism thus aiding fat loss, plump skin, minimize wrinkles, promote nail and hair growth and strengthen bones. Powder: This supplement comes in a powder form, which is useful to drink whenever you need it. This supplement is enhanced with glutamine, which minimizes the breakdown of muscles and improves protein metabolism. This supplement is also enhanced with collagen, something hard to find in BCAA supplements. Collagen is best absorbed when digested and is found in the muscles, skin and bones, so it a useful enhancer to have added. 1 Up Nutrition Her BCAAs are formulated to aid with rapid digestion and easy absorption, a common problem found in lower quality supplements. The watermelon flavor may be too sweet for some. The sweet taste can be off-putting for those who don’t enjoy sweet things but can be great for those who do. This supplement contains a number of enhancers, so for those who only want pure BCAAs, this may not be ideal. However, all the enhancers, Glutamine, Collagen, Vitamin C, Carnitine, are all helpful for the body and pose no harm. BCAAs are called “essential” amino acids for a reason. They cannot be produced by the body and therefore must be gained from food or supplementation. Because your body converts BCAAs into energy when you exercise, an insufficient amount will cause your body to get it by breaking down your muscles. This is why sufficient BCAA levels are important, especially for fitness enthusiasts. However, there are a few things you should look out for before buying. Digestion: It may go without saying, but look for BCAAs made from quality manufacturers. If the supplement is not designed well, it may take longer to be digested by the body. This means that your body will actually start to pass the supplement out before it’s had a chance to be properly absorbed. Enhancers: Check to see if the supplement has any enhancers, such as weight loss or energy enhancers. This is a personal choice about whether you want them in your supplement. A Glutamine enhancer is great for performance. Potassium, sodium and magnesium can also be beneficial. Grams/Milligrams Per Serving: The supplement’s label should clearly state the amount of g/mg in the serving size. While one serving of one supplement may contain 10g of BCAAs, another may only contain 7.6g, so read the label carefully. It is best to take at least 5-10g twice daily. Flavor: It may come as a surprise by many BCAA supplements contain sugar or artificial sweetener to make it taste sweeter. There are a huge variety of flavors out there to choose from, while unflavored supplements, though healthier, are harder to find. BCAA Ratio: The three branch chain amino acids, leucine, iso-leucine and valine actually provide the highest effect on muscle protein synthesis when in the 2:1:1 ratio (2 leucine to every 1 iso-leucine and valine). The label should clearly list the exact quantities of each amino acid. There are a lot of BCAA products on the market, which can make it overwhelming to choose the best one for your needs. Here are a few last minute tips to help narrow down your search. BCAA supplements generally come in powder or capsule form. It tends to be a personal preference about what form you prefer, though powder is generally easier to take. While most supplements are targeted to both men and women, more BCAAs targeted specifically at women are hitting the market. Some BCAAs, while flavored, contain less artificial sweeteners than others, making them a healthier option. For those wanting to improve their fitness, build muscle and reduce body fat, Branch Chain Amino Acids are an essential supplement that provides a plethora of benefits for your body and overall wellbeing. With all the numerous protein powders and fitness drinks on the market, it can be difficult to know what to look for to achieve the results you’re aiming for. Our helpful guide has laid the groundwork for a successful fitness journey that you can embark on. We’ve provided you will the low-down on everything you need to know about BCAAs, as well as a few great options to get you started. 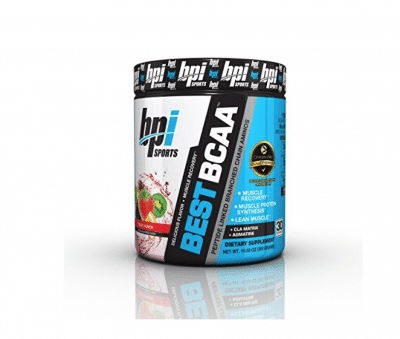 All of the products on our list are good choices, but for those wanting the most noticeable results, we think BPI Sports BCAA Powder is the best choice. For women who want great results but would prefer a product catered to their specific needs, then 1 UP Nutrition Her BCAAs Powder is a fantastic choice. And finally, if you’d rather avoid the artificial flavors and sweeteners found in BCAA powder or simply prefer capsule form, then Optimum Nutrition BCAA Capsules are the right choice for you.